As a coach it's important to encourage your student-athletes to keep learning, growing and making adjustments in order to better themselves. Well, same goes for you, Coach! The NFCA is encouraging YOU to come learn from the top coaches in our game at an NFCA Coaches Clinic this year. 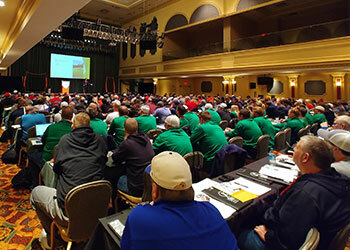 Whether you are a first-year coach wondering about pitching and practice planning, or a seasoned veteran that needs new drills and an updated hitting philosophy, the NFCA has you covered. 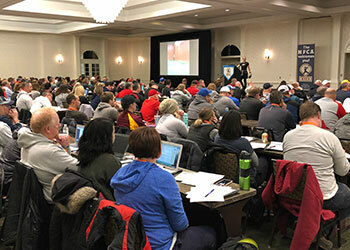 Each clinic features five outstanding clinicians who will share ideas, drills, strategies, player development techniques and much more. Our format includes rotating speaker sessions, breaks to visit the vendors, a Q&A panel with the speakers and a social hour of networking and fun. Every speaker is available throughout the two-day event to answer your specific questions and share their insights about the game. Not to mention, we raffle off a LOT of free equipment. Bottom line: if you're not getting better, you're getting worse. 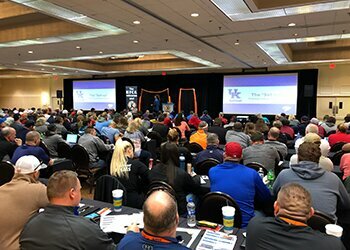 Come surround yourself with hundreds of eager coaches and re-ignite your passion for learning and teaching the game of softball. Your players will thank you! 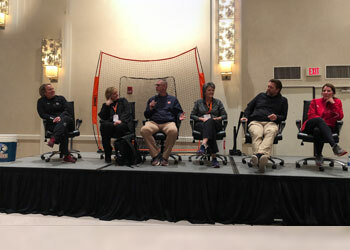 "I would recommend the NFCA Coaches Clinics to every coach, whether it's your 1st year or 30th year, youth softball or at the collegiate level. I learned so many things from each coach ranging from the physical and mental game to being able to run a successful program. Softball is much more than just a game and being successful means way more than winning."